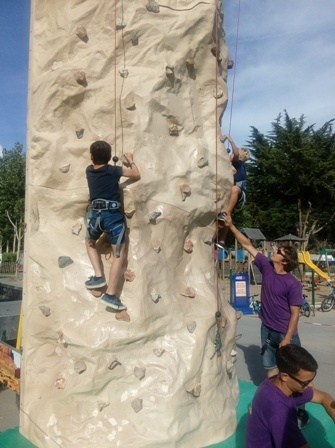 Activities for children and adults alike, every day and for all tastes! A complete and revised programme will introduce you to some exceptional moments and laughter with your family. You’ll get to know the other holidaymakers who are just as relaxed and happy as you are! We’re parents too, so we know that a holiday is most of all a chance to spend time with your family and enjoy memorable moments, so we have come up with an evening programme that is adapted to everyone’s wishes, blending dancing, games and a wide range of meals, all in a festive, friendly atmosphere! Back in your accommodation, you’ll still be dancing to the rhythm of the campsite music! 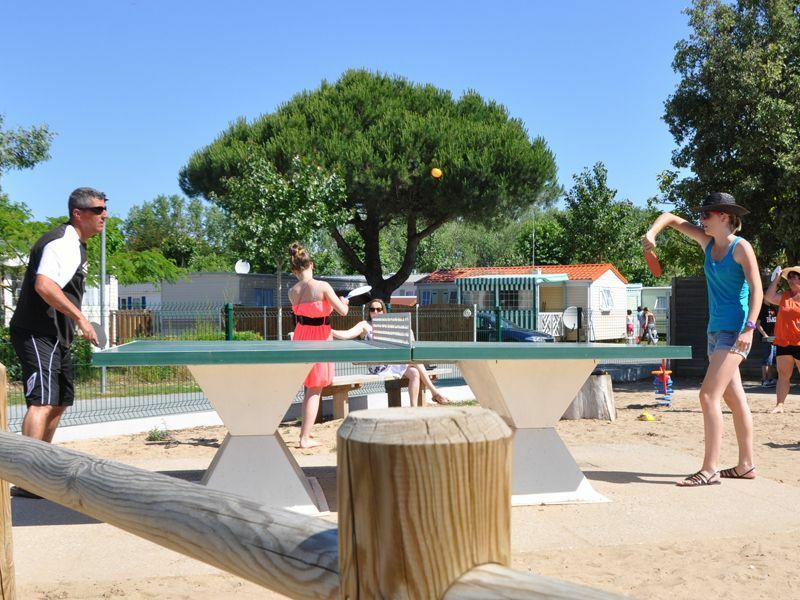 Daytime activities,in July and August at the Domaine des Salins 4-star campsite: Boules competition, aqua aerobics, regular activities: a climbing wall, a Mega Booster bungee cord and a Mechanical Rodeo. 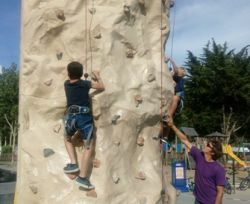 For children : drawing contests, children’s afternoon with snacks, plus regular activities: a climbing wall, inflatable castle, kids club, wooden games. 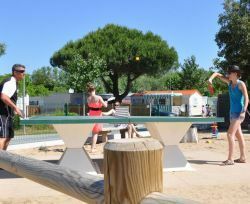 Evening activities,every week in July and August at the 4-star Domaine des Salins campsite. Dancing, karaoke, concerts, shows and themed meals (mussels and chips), lottery, pancake party and an evening swim in the pool.